scratching them, line ice cream moulds, and smooth entremets. 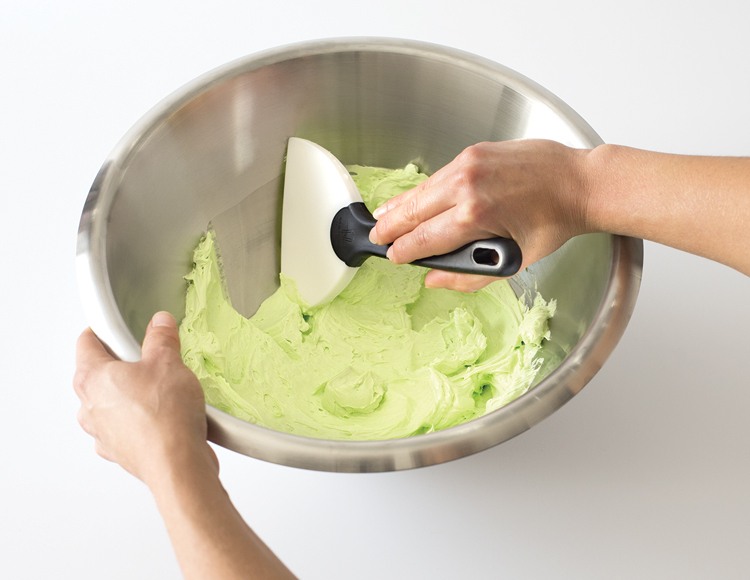 Effortlessly scrapes the bottom of containers with flexible silicone blade and the wide, robust, and ergonomic Exoglass® handle. 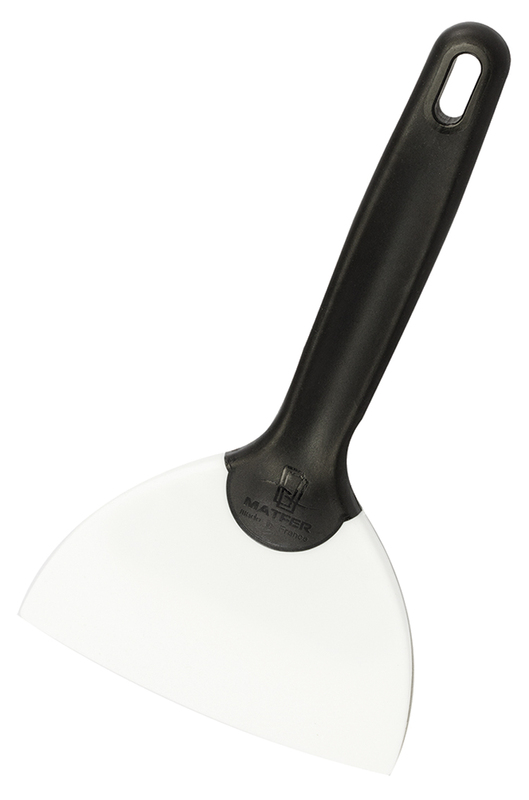 Heat resistant paddle up to 500°F, handle up to 428°F.